Supporting your competition: an oxymoron to most. What if they surpass me? What if I never become what they are? What if I fail and they succeed? These are all questions we deal with regardless of the industry we are in. Imagine this, all of a sudden someone you know surpasses you in followers, gets that raise you wanted, or does something totally new and unique. Naturally most of us will automatically bring ourselves into the equation and play the compare and question game. Not only is this discrediting you, it is terribly narcissistic. I honestly never saw it this way until writing this with a glass of wine in hand-sometimes wine brings the best epiphanies. I personally have never had an issue supporting those around me. I will be your loudest support system and cheer you on from start to finish. I strongly believe in lifting others up, after all, especially us girls, we gotta stick together! However at times there is that wince of comparison that sneaks into my mind. So, how do I rid that feeling and support my competition without reservation? Befriend your competition; get to know them, spend time with them, be an outlet for each other. It’s easier to support them when you actually like them and have cultivated a friendship! Relate with them. Most likely you are in the same industry which means you can relate on so many levels. Be genuinely happy for them when they succeed + let them know. Constantly remember all of your successes! Never let other people’s success overshadow your own. 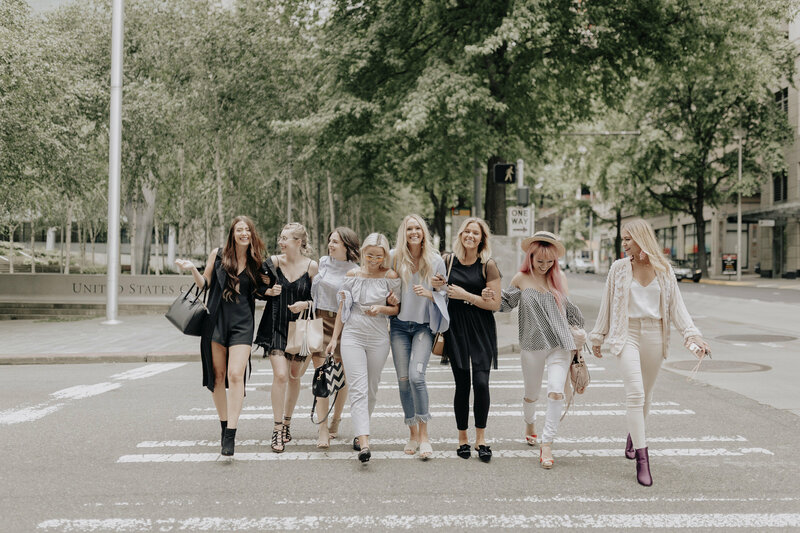 This post was inspired by my Seattle blogger boss babes who I absolutely adore. While you can say we are competition, we really don’t see it that way. We each have a different audience that follows us all for different reasons. We all bring something different to the table and I have absolutely loved getting to know them better these past couple of months. They inspire me, push me to be more creative, and bring a positive vibe to an industry that I used to think was cold. I can’t wait to continue blogging next to all of you lovely ladies these next years here in Seattle. 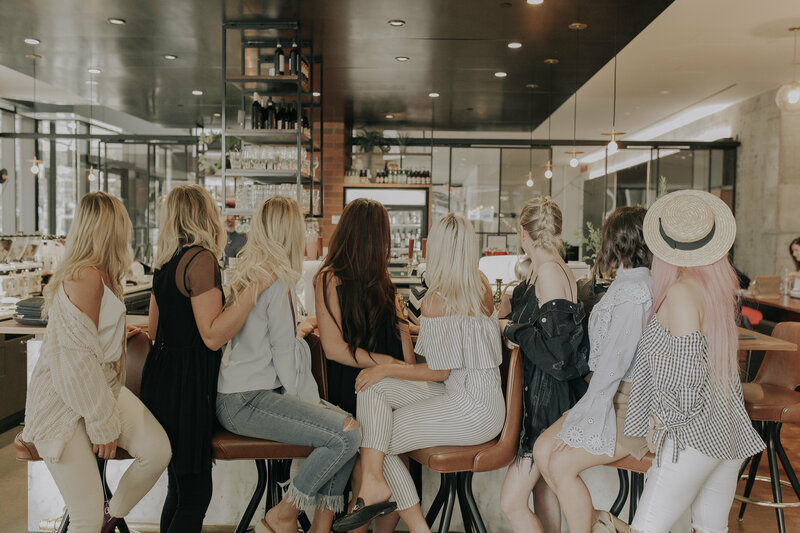 Are you a blogger and looking to start a positive blogger community where you live? Plan a brunch, drinks out, or a fun weekend getaway. 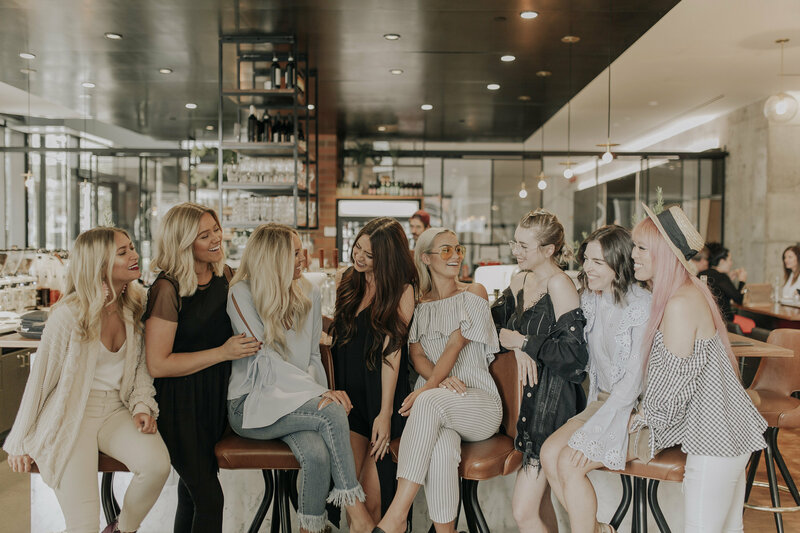 Reach out to your blogger babes in your city and get to know them. 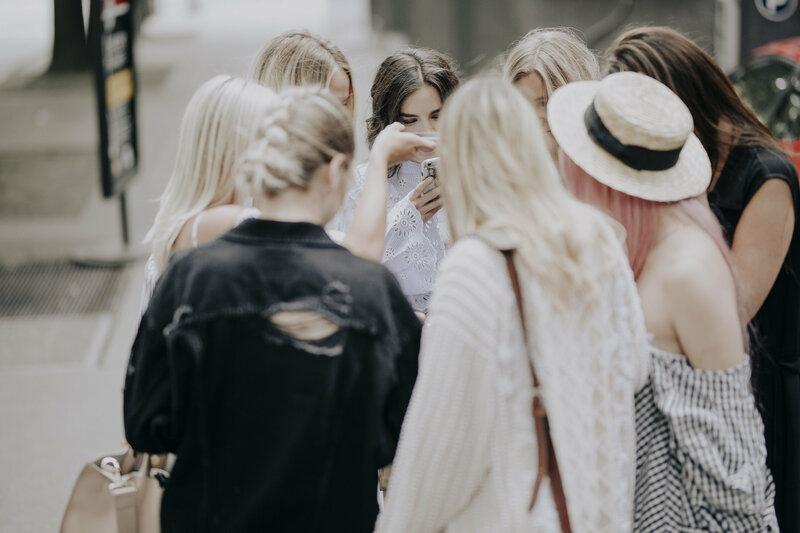 All it takes is one Instagram DM or a quick email. That’s what I did, and I am so thankful I did. 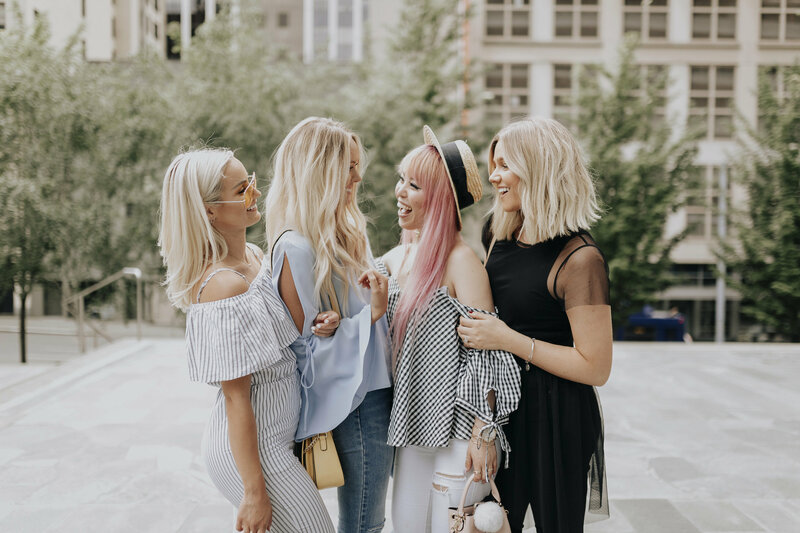 Let’s support our fellow blogger babes, after all, at the end of the day, we are all in this together. Thank you Mr. West Cafe for having us! Thank you Mandee for these gorgeous photos! Squad goals!! This is such a great post with so many great tips! People definitely get caught up in this but everyone needs to remember we are all different! Love this! Such great advice! You can learn a lot by supporting your competition. So True!! Thank you so much, Chava! Love this and couldn’t agree more! There’s no reason to be a mean girl! There are already enough of those! these photos are everything! 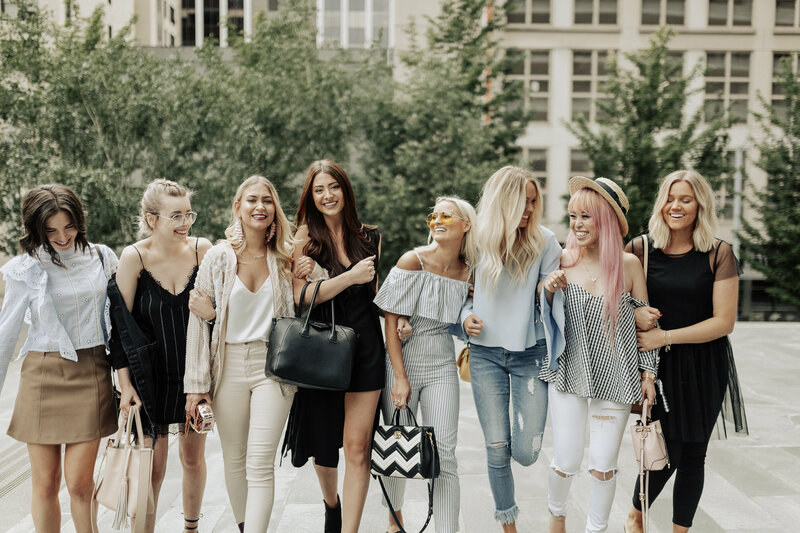 best girl gang eva! I absolutely love this!! 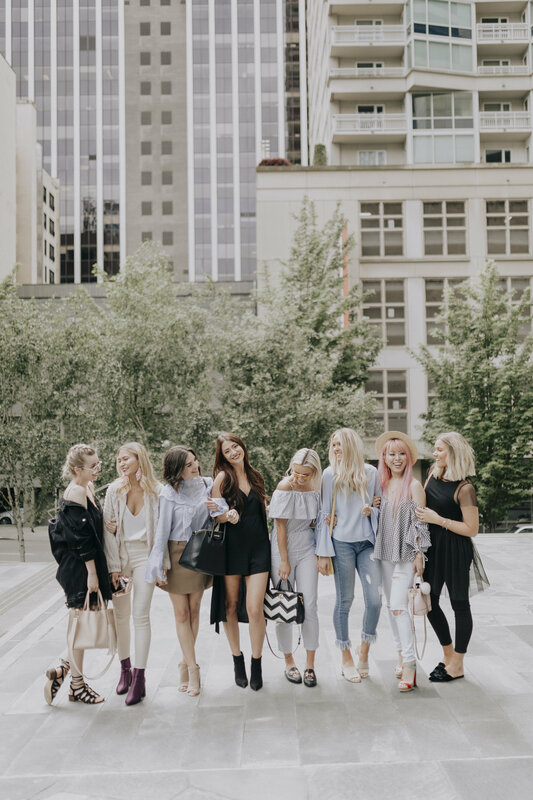 I live in the Seattle area & I’m a new blogger as of last month… it’s definitely easy to feel intimidated/compare myself to all of you who are so successful! Hoping I can build a community like you mentioned. Thanks for this post!